When most people think of breakfast food I would guess they usually think of eggs, not tofu. That’s because the majority of people are not vegetarian or vegan or just don’t eat tofu. 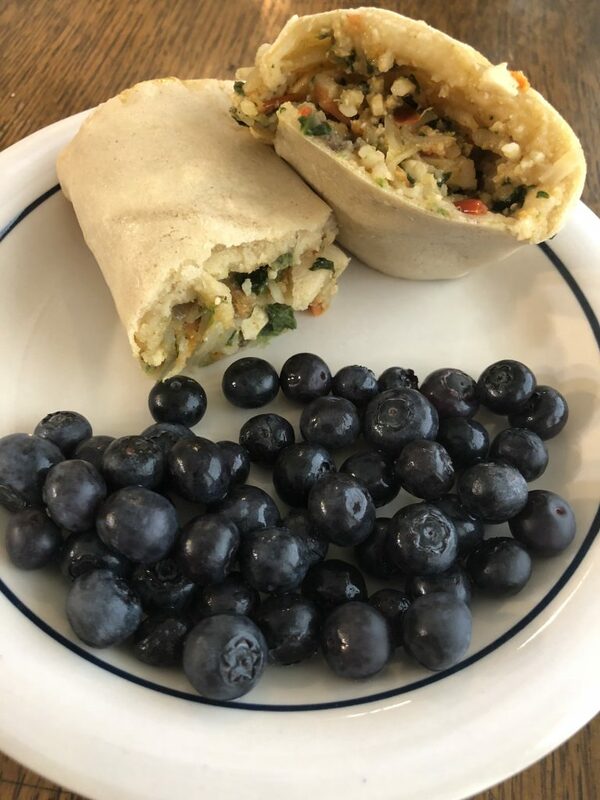 However, this morning I had a tofu scramble breakfast wrap which was absolutely sensational. It should make you rethink the idea of having tofu for breakfast and be open to the idea. I want to share more with you about this wrap but speaking of sensational I have to first tell you about my sensational basketball game. If you follow my blog you know that I love food and I love sports. So it happens a lot that I’m thinking about sports when I’m hungry and of course when I’m playing sports I get hungry. These two things are just always side by side for me. So, with my last game, just a few weeks earlier, we were down by one point with one second to go. A kid on my team got fouled and made a foul shot to tie it up. Then we went into overtime and we won by just two points. It was incredible. Everyone was going crazy in the stands. Pretty cool, huh? Anyway this week my mom told me not to have such high expectations of another game that exciting because the odds were really low. So here we were and we were down with two seconds to go and the same kid got fouled again! And he made one- again! And then we crushed it in overtime. So that’s what I mean by sensational. Sensational in basketball is obviously different than sensational in food. But if you could combine the two that makes for a perfect day. 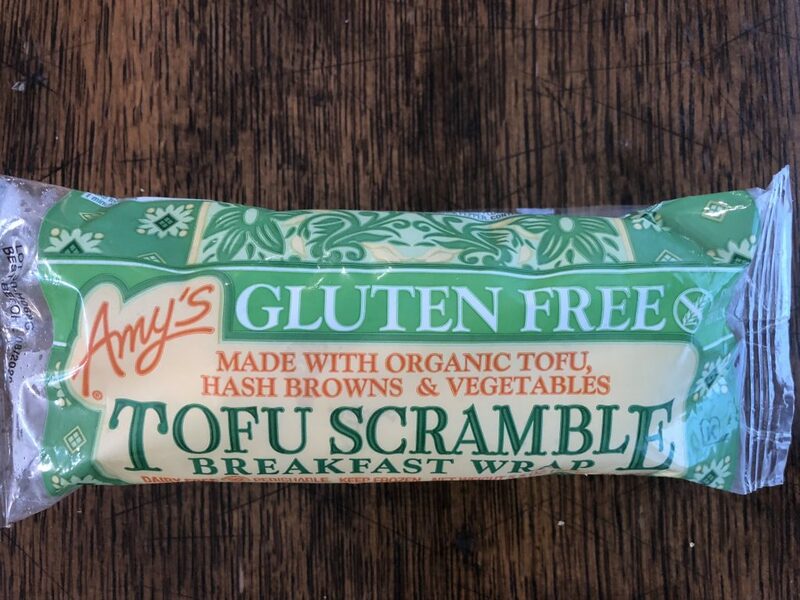 Next time I’m looking for a perfect day I’ll remember to grab an Amy’s tofu scramble breakfast wrap. 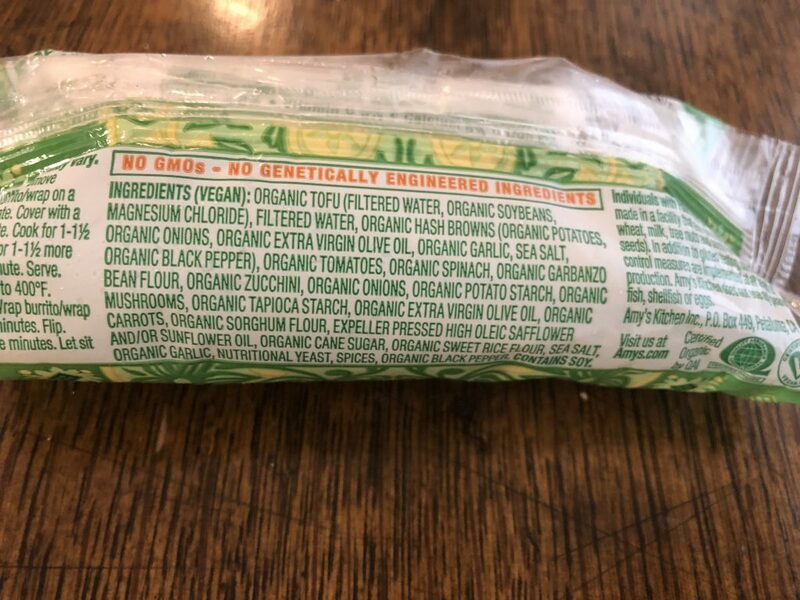 Amy’s not only makes a whole line of freezer food but they also have a restaurant called Amy’s kitchen and it has been around since 1987 and they make gluten free and vegan food for all. Now in this tofu wrap there were vegetables but they were chopped quite small so they would not really make a crunch, vegan cheese with a filling texture with tofu, and of course the gluten free tortilla wrapped around it all. My mom made this with a big side of blueberries for breakfast and it hit the spot. 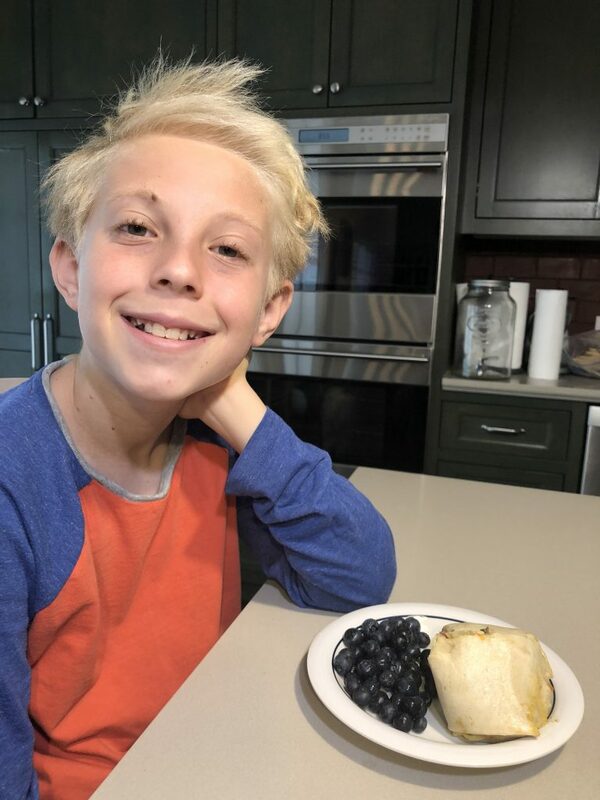 The different ingredients and textures combined really well together and it was a great way to start off the day and to change up the breakfast food routine which can sometimes get boring. I’ll be eating these more often to fuel up my day. I recommend these, especially if you can combine it with a basketball game even half as exciting as mine was. Wow! What exciting games — would make an ardent basketball fan of even the most indifferent type (like me!). And, Amy’s scramble does seem like a parallel sensation — and much easier to repeat that overtime wins! Thanks for the exciting play-by-play and the tip on a quick ‘n’ easy tasty breakfast! You’re welcome, they were great games. Thanks for being a fan!